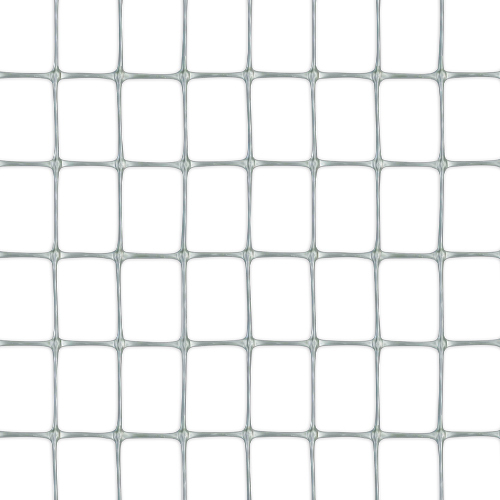 A complete range of bi-oriented polypropylene nets with quadrangular mesh and high mechanical characteristics. Since they are flexible, they are easy and quick to install and do not require maintenance. 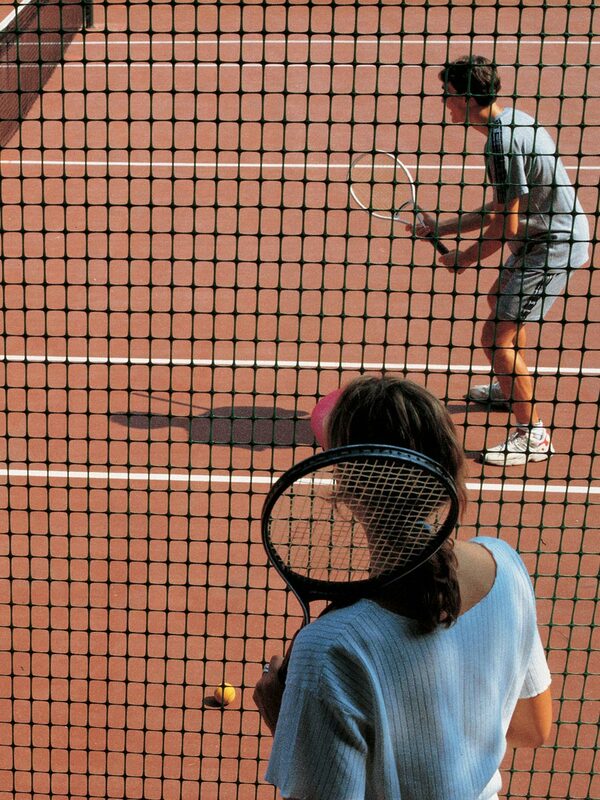 Tenax CINTOFLEX is ideal for fencing areas where lightness is needed (such as sports facilities). 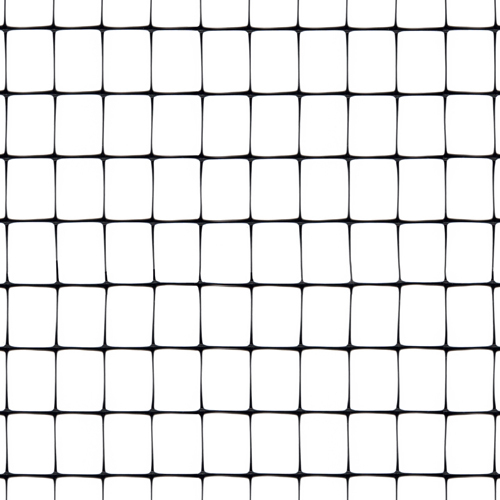 Different meshes and heights up to 4.6 m are available. 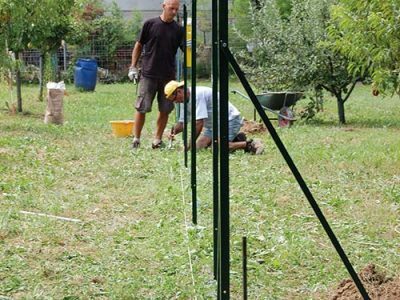 The CINTOFLEX M fence is easy to install, light to handle and it resists any weather condition; therefore, it is perfect for fencing areas or facilities where lightness is needed. 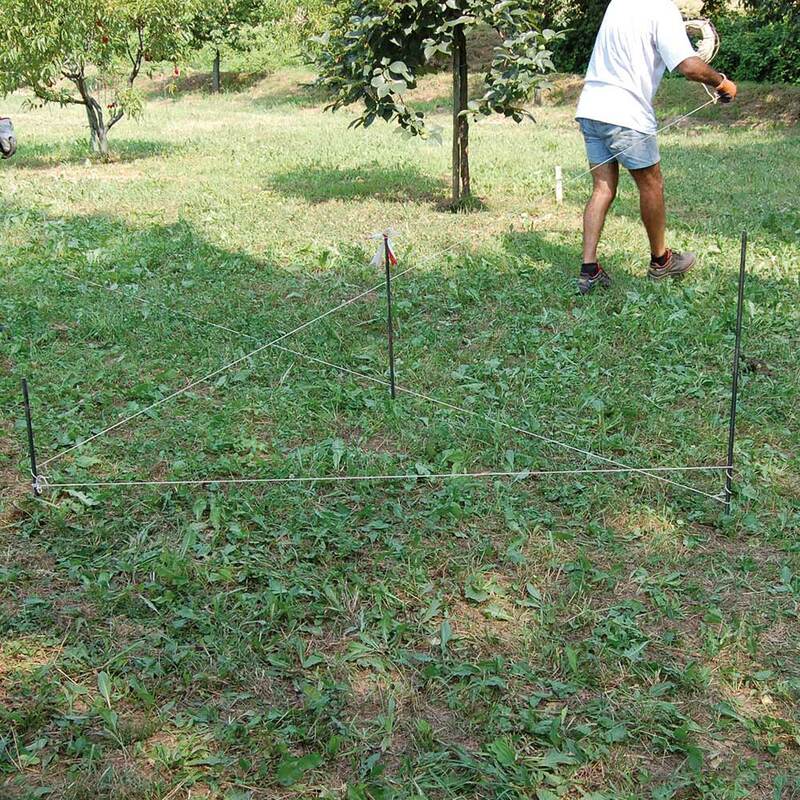 Place the posts at the perimeter corners. 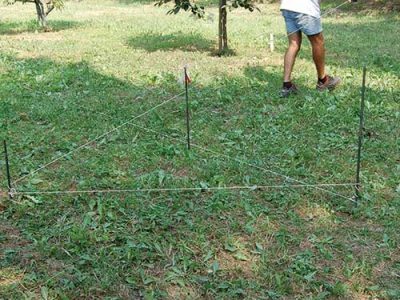 Then place the external posts along the imaginary perimeter line about 40 cm from the corner point and stretch a guide wire. 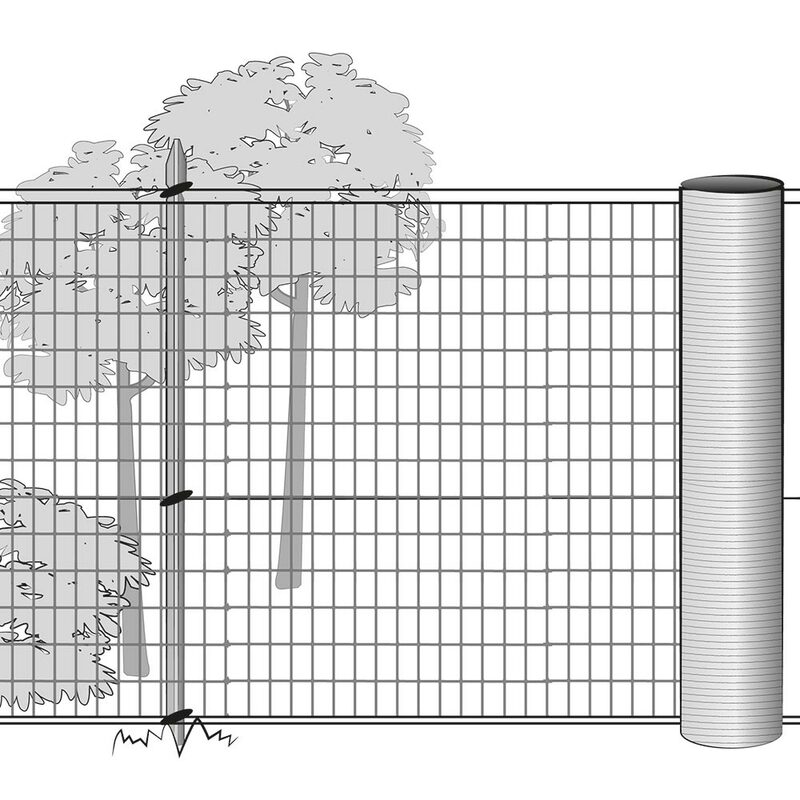 The external posts help to make the position of a corner post visible, even after it has been removed. 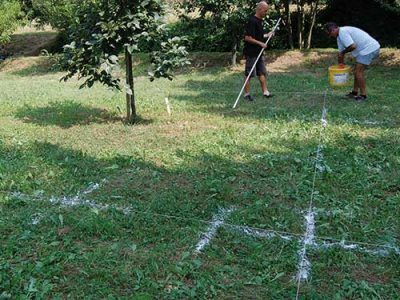 Remove the corner posts and mark the points where holes will be dug for EXTRA T POSTs and EXTRA ARROW bracing posts using chalk. 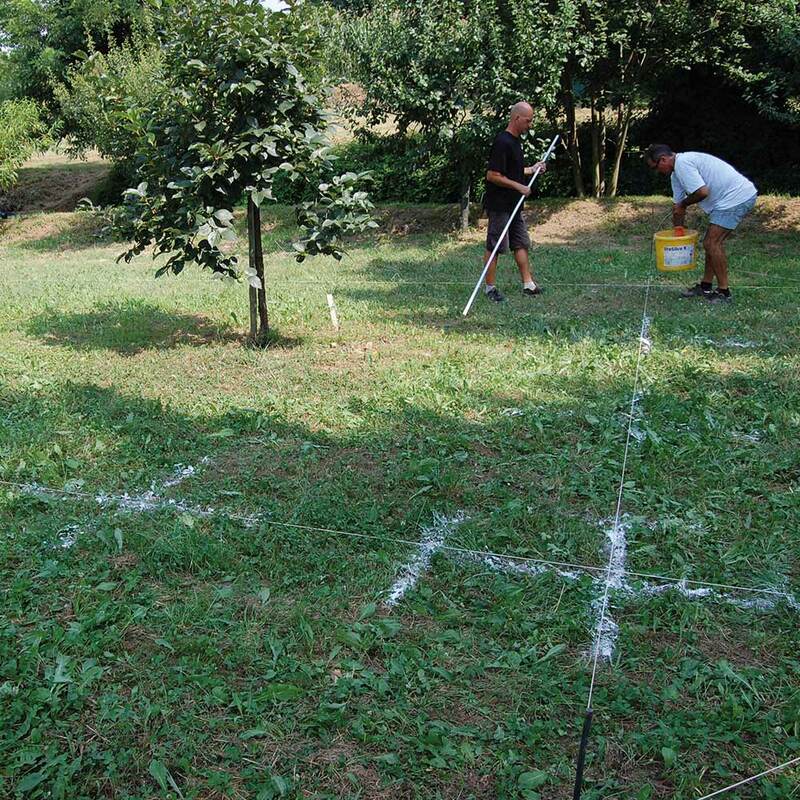 Place the posts along the perimeter about 2 meters from each other. 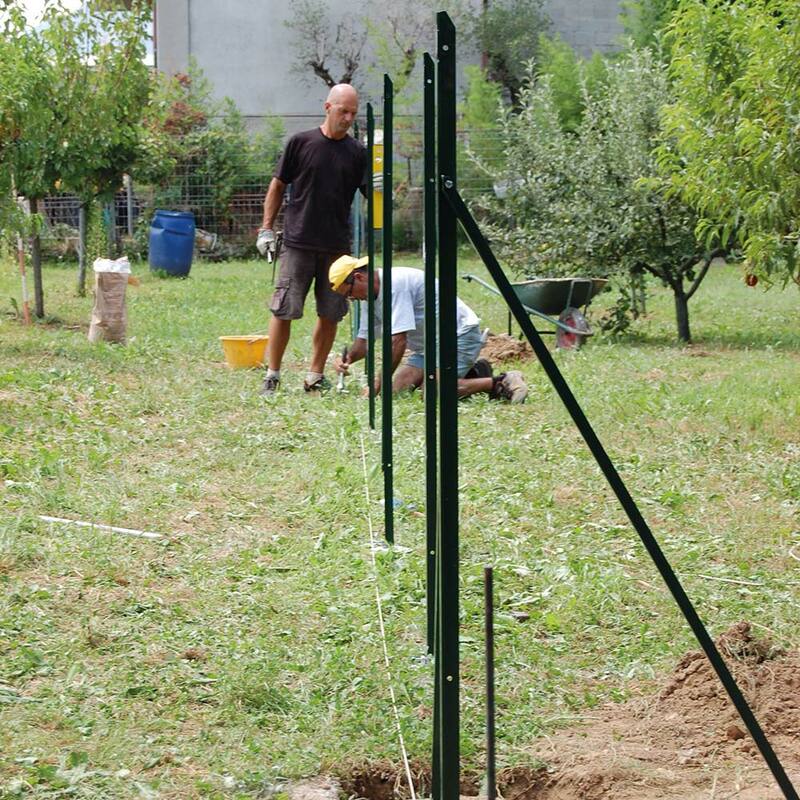 The posts can be positioned in cement or directly in the ground. 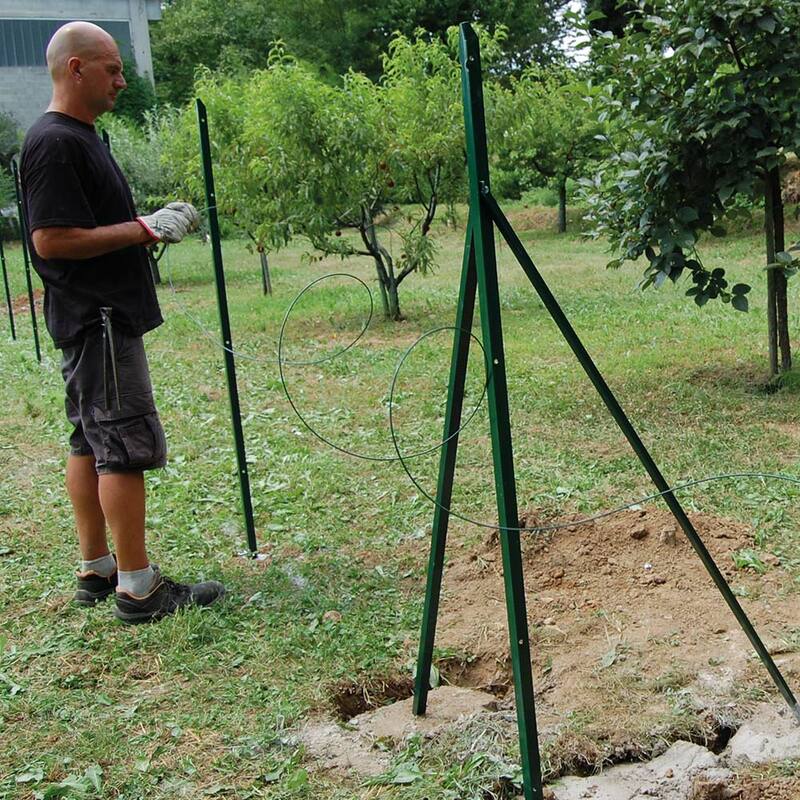 Make holes in the ground, with a shovel or machinery such as drills or mini-excavators, approximately 20-30 cm deep for a width of 20-30 cm; pour cement in the hole and position the posts until you touch the bottom, checking they are perfectly perpendicular to the ground and aligned with the previously hung twine. 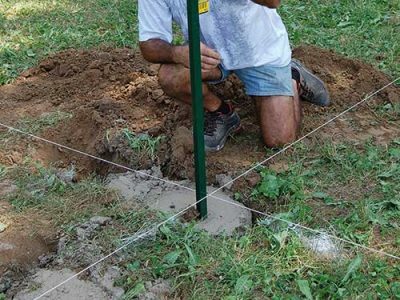 Wait until the cement is completely dry before installing the fence, to avoid misaligning the posts when installing the mesh. Make holes in the ground that are approximately 50 cm deep. 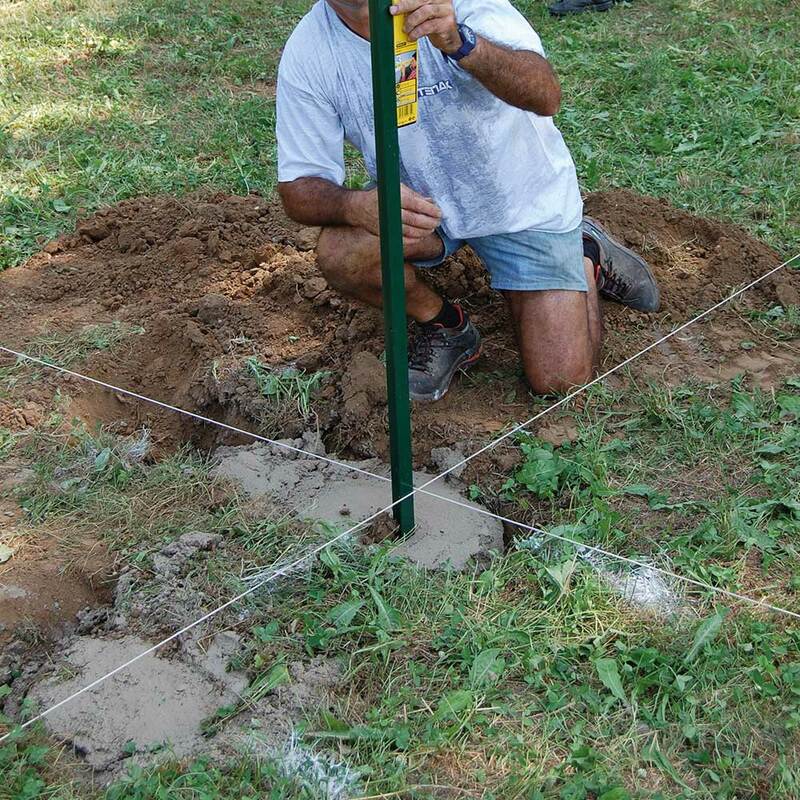 Place the posts in the ground, cover with the dug earth and compact. 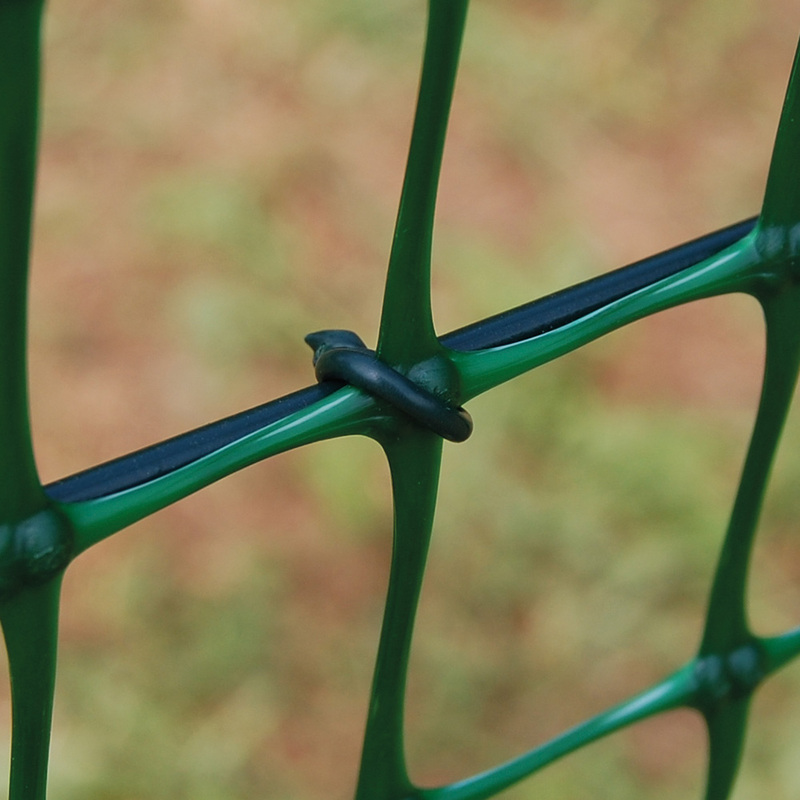 Strengthen the fence by pulling the plastic coated Tenax EXTRA WIRE through the holes of each post and fasten them to the relevant Tenax WIRE TENSIONERS. 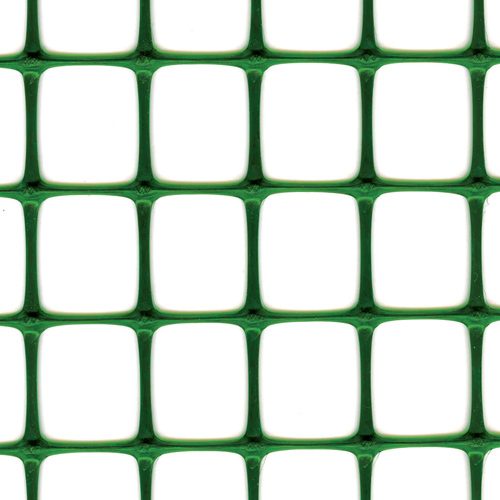 Leave the central wire free to move to allow it to match up with the mesh pitch when fastening. For each wire, position the wire tensioners between the posts. Pass each wire in the specific wire tensioner mechanism. With the help of pincers or a wrench, tighten the plastic coated wires. 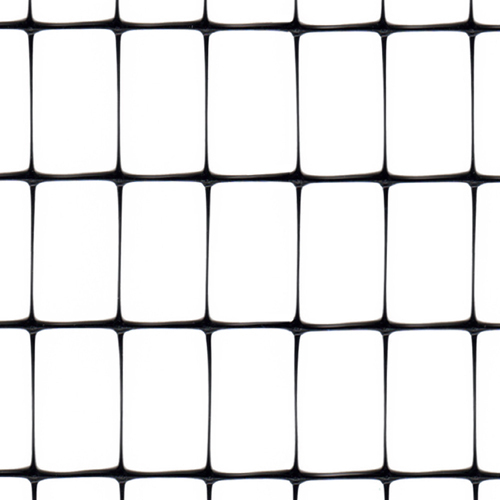 Unroll the mesh along the posts. 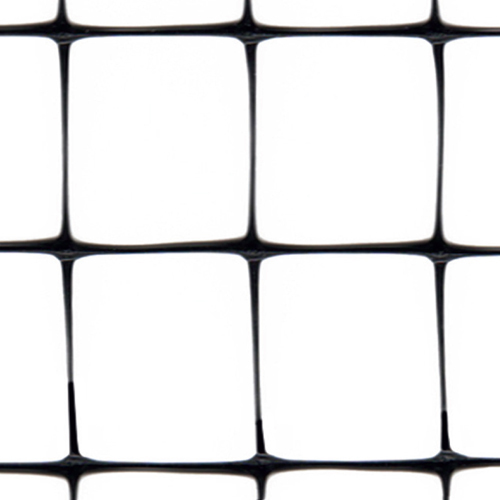 Start by unrolling the whole mesh and fasten it temporarily to the posts. 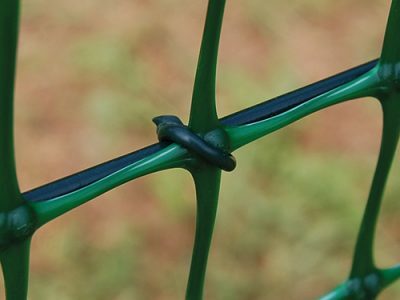 Fasten the mesh to the wires and relative posts with the help of the plastic coated Tenax EXTRA WIRE or the specific FIX-TIE plastic ties. Pull and finish installing the mesh, checking that it is aligned with the posts and the wires are tensioned.